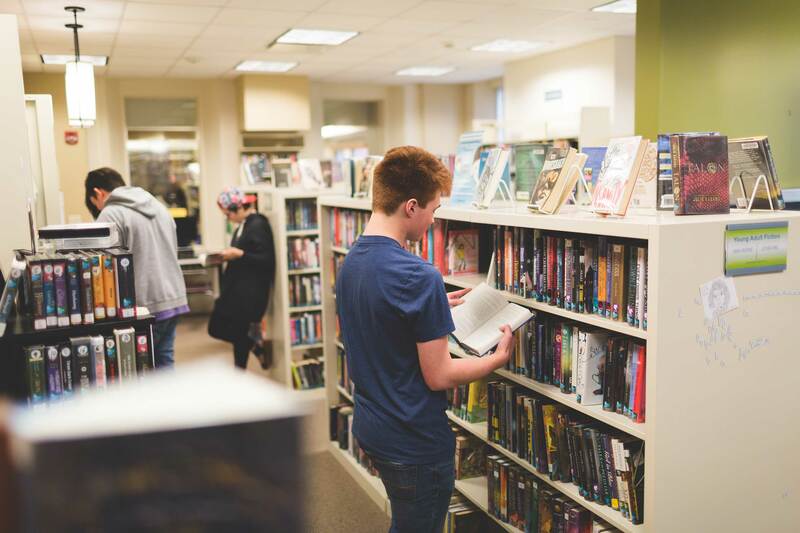 Wood Library’s Teen Scene is designed for teens. Read, study, relax and browse. Hang out with friends. Get help with a project. We also offer fun things to do that get teens excited about learning in a stress-free environment. Contact the Teen Services Librarian for more information and let us know how we can serve you better. NEW: Playaways: devices with pre-loaded audiobooks on them! Just pop in your headphones and enjoy! This summer we hosted our very own writing workshop. The goal, to have our group of creative teens focus and write a whole short story in one week. Led by Canandaigua Academy teacher, Mike Sisson, 8 teens participated in the week-long program and created amazing stories. To read their work click here. Plan library programs and become an advocate for your library by joining TAB today. Seventh graders are invited to join us in January to start planning summer programs. Play in the library after hours! Play with Xbox One, Nintendo Switch, a board game, or the computers. Paint like Bob Ross! Register to claim your canvas and paint along to a Bob Ross video. Registration required. Up-cycle your old clothes and saving them from the landfill! Bring an old pair of jeans and create a tote bag, and bring old t-shirts to make a variety of different crafts! Registration required. Participants are encouraged to come swap ideas for their dorm rooms this fall! Participants will also be making a pom-pom rug to take to school with them. Make a gift for your mom just in time for Mother’s Day. Read the Teen Advisory Board (TAB) Blog here! Free NY DMV practice tests can be found here.